As a thank you we will announced a small give away to thank all of the loyal followers we have at Raddtitan.com. All you had to do was PM us on Facebook or email us a photo of you watching our channel or visiting our website. 1st prize so far is the new Kylo Ren Hot Toys figure. 2nd prize will get a HD code from ForceAwakensDigitalHD.com for A Copy of Star Wars : The Force Awakens and Ultraviolet for Justice league Teen titans. We had many great entries over the time and here are the best of what we got. There were so many great entries that really put a smile on our faces, but every competition must have a winner. 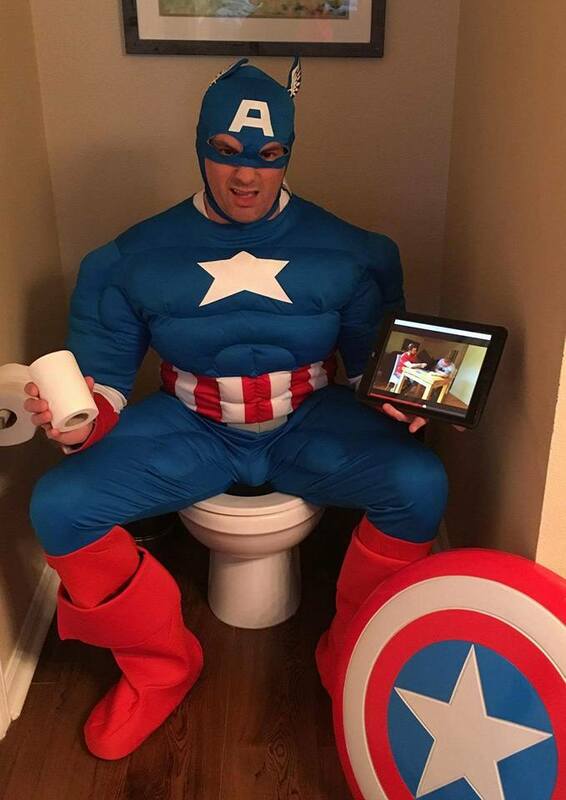 In first place a huge congratulations for Kevin Andolina – North Carolina USA with his Captain America on the toilet. Either people loved the toilet humor or it was perfect timing with the release of Captain America : Civil War.